The trophy is to reward our young handlers (13 to 20 years of age) for their participation in normal conformation classes with bonus points awarded if their dog finishes “on the pegs”. The winner each year will be awarded the Trophy at the Club AGM. Scoring system: 5 points awarded for each dog handled at a Championship Show (includes Working Dog Club) or State Breed Exhibition, with 2 bonus points for finishing “on the pegs” (1st to 10th place); 3 points for each animal handled at GSDCV Open Show or Club Fun Days, with 1 bonus point for placings (1st to 5th place). NOTE: Handlers must be at least 13 years old, to handle dogs in conformation classes at these events. 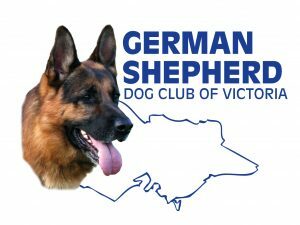 “Junior Handler of the Year” trophies will be awarded at the AGM each year to 7 to 9 years, 10 to 12 years and “13 to 17 years” for results in Child Handler’s classes conducted at GSDCV Shows and Fun Days throughout the year. Results will reflect performances of junior show handlers at their local shows during the year. There will be 6 winners, one for each of the regions of NSW/ACT, VIC, QLD, WA, SA and TAS.